An American state is one of the states of the United States of America. 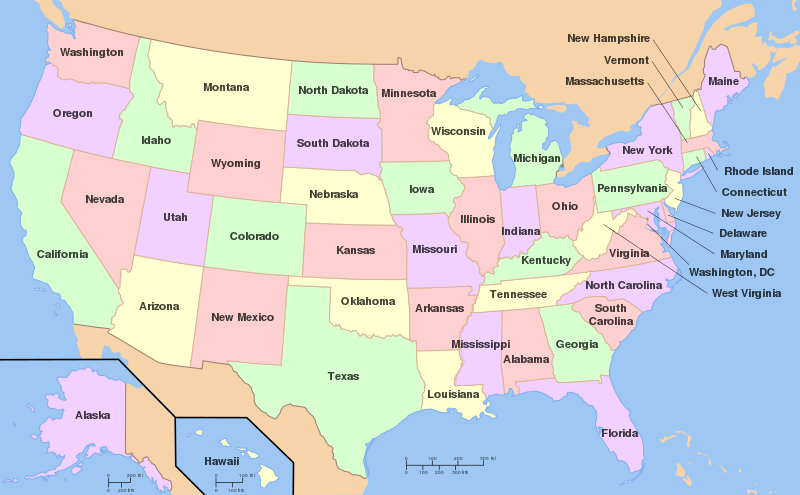 Four states (Massachusetts, Pennsylvania, Virginia, and Kentucky) use the term commonwealth because they called themselves that when the United States was first formed, but this is only tradition and they are still states. This page was last changed on 17 November 2014, at 18:36.